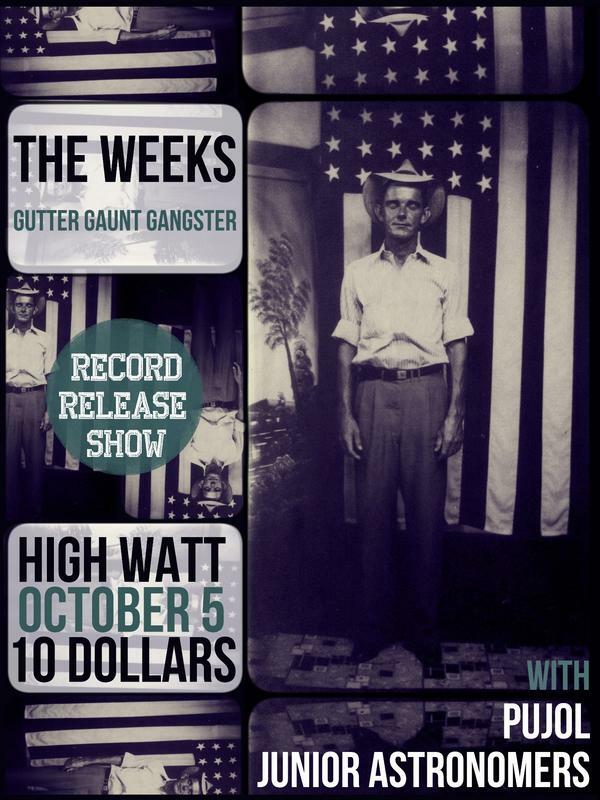 – Nashville Five alums and Serpents & Snakes signing The Weeks are celebrating the release of their new LP, Gutter Gaunt Gangster, on 10.5 at The High Watt with PUJOL and Junior Astronomers. Tickets on sale here on 9.27. Maybe this will ease the pain of Soundland being cancelled just a little. – Head to the Stone Fox tonight for the venue’s first show, with Courtney Tidwell and Sao Paulo Underground. – East Nashville inkery Kustom Thrills Tattoo is hosting “Rock n Rods 6,” their 5th anniversary party. Music starts at 7 p.m., and will include The Tremors, Hellfire Revival and The Hillbilly Casino. – Want to be in a Train video on Wednesday? I didn’t think so. Want to get drunk and then show up to be in a Train video? Okay! Here’s how. Booze on you. – Erin Rae and The Meanwhiles are hosting an EP release show on 10.16 at Myrmidon Studios in East Nashville. The 7 buck admission includes a free EP. – CMA awards tickets go on-sale 9.29 but pre-sale is happening now, with code AWD12TWT. Turbo Fruits ‘Harley Dollar Bill$’ from Dustin Lane on Vimeo.